In this piece, David Deal explores how new tech innovation in the form of the app David Bowie Is has allowed the legendary performer to once again grace our homes in the form of augmented reality. David Bowie visited my home on his birthday this week. He sang “Life on Mars” in my dining room. He performed a mime on my front porch. He showed me the handwritten lyrics to “Ashes to Ashes” while I was sitting on my sofa. 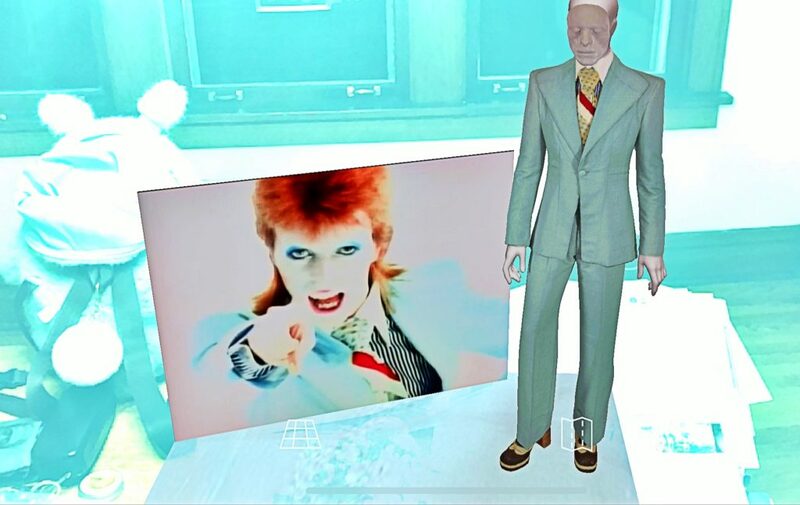 All thanks to a mind-blowing augmented reality app, David Bowie Is. 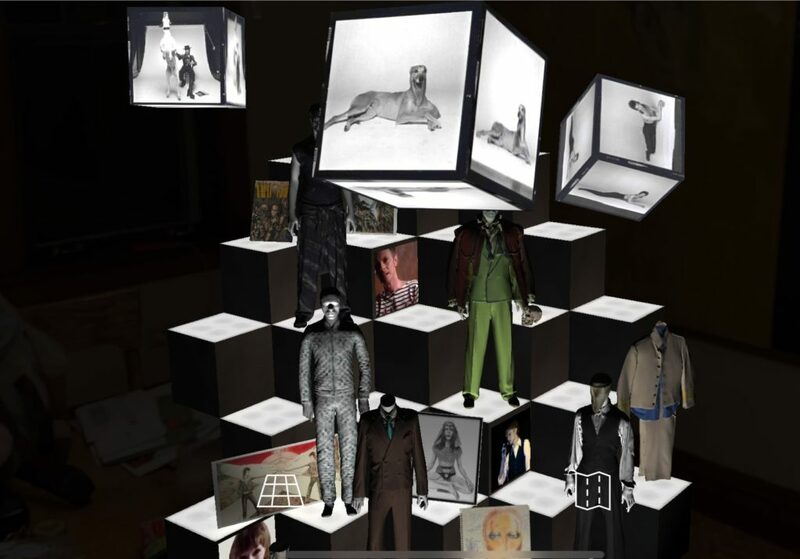 The app, based on the groundbreaking David Bowie Is museum exhibition, was released on iOS and Android platforms January 8 on what would have been the Thin White Duke’s 72ndbirthday. I had visited the David Bowie Is exhibit at Chicago’s Museum of Contemporary Art in 2014. At the time, I was moved to tears by the brilliance of his music, his visual genius, and his passion for creating art. When I downloaded the app years later on a wind-swept January day, I wondered whether re-creating bits and pieces of the exhibit with a small iPhone screen might tarnish the memory. When you open the app, you explore 25 rooms and 400 objects from his life, including hand-written notes for songs, costumes rendered in 3D, images of stage sets, and video. Gary Oldman (sounding a bit like Bowie himself) narrates different scenes, such as how the BBC actually used Bowie’s “Space Oddity” in its coverage of the Apollo 11 moon landing. 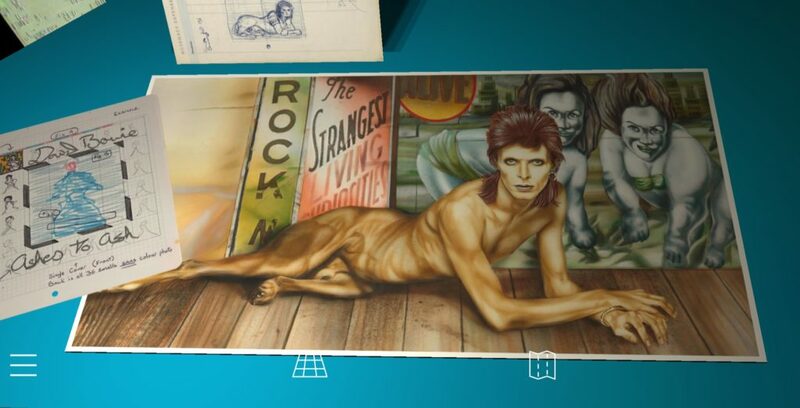 The David Bowie Is app also takes you on a journey through David Bowie’s creative process. How he collaborated with fashion designers, artists, and filmmakers. How he synthesized everything he saw, heard, read, and lived into his own vision. You learn how living in the disjointed but kinetic world of 1970s Berlin fueled the sense of experimentation and adventure on the so-called Berlin trilogy, Low, “Heroes,”and Lodger. How his rough drawing for the album cover of Diamond Dogsbecame a shocking and memorable image through his collaboration with artist Guy Peellaert. And you learn much, much more as you lose yourself in his world. The app does not replace the experience of going to the museum and sharing David Bowie’s world with the community of museum goers. It’s more like a technology-rich update to the experience of listening to David Bowie’s record albums. I use the term record album deliberately. Actually listening to a record album all the way through demands your attention, especially if you listen to a vinyl record, which entails unwrapping an album from its sleeve, teeing it up on a turntable, and turning it over midway through. When you listen to a record, you don’t make “Fame” and “The Man Who Sold the World” into digital background fodder for your morning exercise routine. David Bowie Is functions like that vinyl record. You must give the app your full attention to appreciate it. Here is augmented reality with a soul.